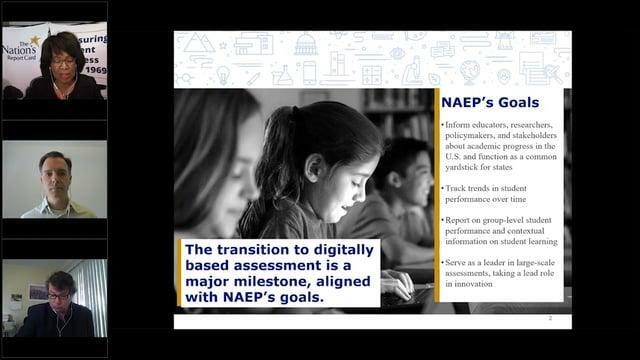 To help journalists prepare for the data from NAEP, dubbed “the nation’s report card,” the Education Writers Association is offering a webinar on April 4. Our speakers will offer context and insights for smarter news coverage on this wealth of data from the National Assessment of Educational Progress. In addition, they will explain how the transition from a paper and pencil to digital format may affect results. Also, viewers will get guidance on how to avoid common pitfalls and misuse of the achievement data. Beyond the national and state data, results will be available on the Trial Urban District Assessment (TUDA) for 27 cities across the country, including, for the first time, school districts in Clark County, Nevada; Denver; Fort Worth, Texas; Guilford County, N.C.; and Shelby County, Tenn.